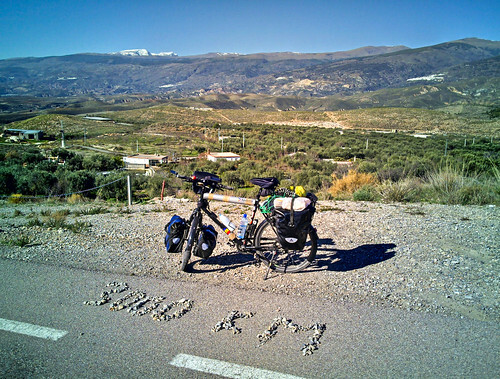 I passed my 3000 km milestone today in the Alpujarras, halfway between Grenada and Almería, halfway between the Sierra Nevada and the Mediterranean Sea. Well, actually all I see is an endless valley decorated from time to time with white houses. And a tiny snow cap on the mountains to celebrate Christmas!